Changing society's behavior to use less oil and other resources The Oil Drum: Campfire What Price Pelican? This is a guest post by Will Stewart, who has written a number of articles previously at The Oil Drum. We are told that in the US, the food on our table has traveled an average of 1500 miles and consumed 9 calories of energy for each food calorie on our plate. In a time when "oil prices are likely to be both higher and more volatile and where oil prices have the potential to destabilize economic, political and social activity", we need a way to mitigate the near certain risks of much higher impending food costs. There are a number of answers, one of which is to support local agriculture. Additionally, one can grow their own food in a pleasing, sylvan landscape. 5 years ago, I decided I was going to shift from a native plantings landscaping theme to one that turned my yard into a source of sustenance. I had read about "Edible Landscaping" and "Permaculture", and decided that approaching tough economic times could be mitigated by growing more of my own food in a manner that did not require a large degree of manual labor. After all, we are supposed to have 2-5 helpings of fruit each day, and nuts have been shown to be very healthy sources of protein and essential fatty acids (and even lowering cholesterol). My family likes to "pick your own" at local orchards and shop at farmer's markets, and felt that augmenting those purchases with our own fruits and nuts meant that we would reduce the need to ship food across country. So in addition to our gardening and backyard chickens, we could effectively cover 3 out of 5 of the basic food groups in the food pyramid right in our yard. Location: First, one needs to know what hardiness zone they are in, to eliminate candidate plants that would die from the low temperatures in their area. For the US, refer to the Hardiness Zone Map update provided by the Arbor Day Foundation (hit "Play"). Other hardiness maps are available for Canada, Europe, Australia, South America, FSU, China, Japan, and a global map . Any plant that does not grow well in the zone you are in should be removed from further consideration, unless you are prepared to go to extra measures (such as create a greenhouse, move the plant indoors seasonally, etc). Fruiting schedule: Be cognizant of the timeframes in which your fruits will ripen; the best approach is to try to cover as much of the calendar year with as diverse a harvest as possible. For example, I've chosen 4 varieties of apples that will provide fruit from July through November, with the later apples able to be stored through the winter (“winter-keepers”). Other choices include strawberries (May) and June berries for early fruit and Lingonberries for late fruit (December). 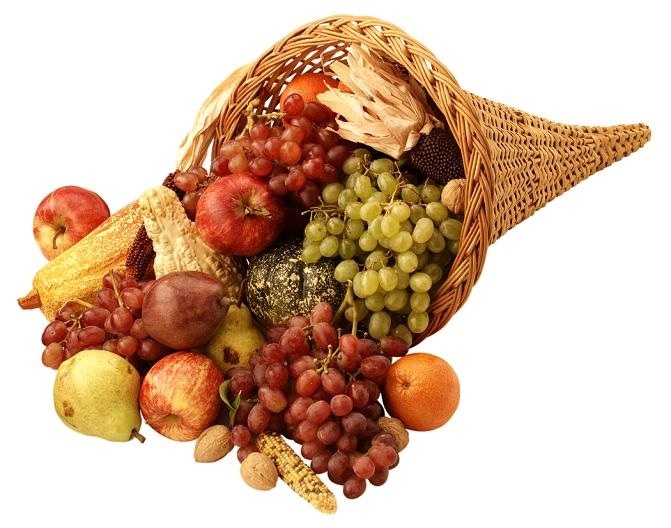 This way, one can enjoy fresh fruits almost year around and dehydrated/canned fruit any time of year. The above list is a fair number of plants, though one's yard can be artfully planned out to yield a large amount of fruits and nuts with a thoughtful design approach. For example, Gene Yale in Chicago has a planting of 97 apple trees (and other fruits) in a 1/4 acre yard! Our own yard is approximate 1/3 acre, though we have many acres in sheep pasture. Coincidentally, the sheep also need some relief from the summer sun, so plantings just inside the electric fence (protected by circular fence cages) serve dual purposes. In coming articles, we'll talk about laying out plans, the types of fruits and nuts that are doing well here, and how to put it all together to begin executing your plan early this fall. While this series will be about hardiness zone 7, most of the plants involved are suitable in at least two other zones. Do you recommend spacing out the fruit and nut trees? It would seem like if they were closely spaces, as in the picture you show, they would need to be watered all of the time, and would need a lot of fertilizer. If you had nitrogen fixing plans around, and trees were more spaced out, it doesn't seem like they would need as much attention. To grow fruit trees nearer each other and in the same space as a veggie garden you espalier them. This sounds scary and fussy, but is not. We have about 30 espaliered fruit trees in the border around our veggie garden, in Wisconsin. Briefly, an espalier is a fruit tree that is trained on wires on a fence or wall, rather like a grape vine. it is kept in a flat plane and not allowed to grow above ,say, 7 feet. This makes for much easier care and harvesting. The crops are still large once the trees have matured but not overwhelming. The pruning and training takes about a half hour per tree per year. yield, last year our Reliance peach bore about 150 peaches. Most of our trees are still young and just coming into bearing but this gives an idea what you can get from a single espaliered tree. We grow European pears, apples, peaches, nectarines, apricots, cherries, Japanese plums and European plums, plus blackberries, strawberries, blueberries, grapes and both red and black raspberries. All in the 2 foot deep border bed surrounding the veggie garden. Do not over fertilize. This weaker growth can attract bugs and diseases. We planted apples in our first planting but have not added more. They need more anti-bug care than any other fruit ,at least here in Wisconsin. the others have needed nothing but water and some modest care. Pears are good because they ripen off the tree, making them less attractive to pests and poachers. Hey thats pretty cool. At the ag station in Madison (im guessing in the same county as where you live) they have a few demonstration apple trees to show apple bagging (stapling plastic bags around the fruit as they ripen to keep bugs off of them). Have you heard of that or tried it? Thus we have concentrated on other fruits, none of which have needed anything except water and care. The apple pest I loathe most is coddling moths. yuck. They ruin the fruits. For those with deer problems, we got tired of fighting it and put up a tall fence around the veggie garden/ orchard to keep them out [we have 2 acres, semi rural so we can do this], the deer did not bother plums, peaches or nectarines, but rabbits will happily kill any young fruit tree by bark ringing the trunk so put guards on your trunks to prevent this. Also on the deer problem we've found hanging bars of dial soap in old men's black socks on things to be protected is quite effective, if weird looking. Keep the wrapper on the soap bar to prolong its life. The smell of it messes up their interest in the fruits and veggies... even ones they chewed the night previous to putting out the socked soap. Blood meal can be effective against rabbits but gets expensive and has to be replaced. Wood ashes are effective against slugs, as are coffee grounds for different reasons. On hardiness this is a consideration in the varieties we purchase. Our trees have been through 14 below zero with nasty wind and still blossomed and set fruits, but growing anything always has risks. Buy varieties that brag on their cold hardiness. And for warm area gardeners pay attention to chill hours. Some fruits need x hours of sub 40 weather every year. google fruit tree chill hours for info. I forgot the currants. and gooseberries. Both are extremely easy to propagate. Buy only one plant of each variety you want to try. Cut off a length of new branch about 8 inches long and bury all but the top 2 inches. Keep moist but not sodden. not all of them will root and flourish but most of them will. We grow Pixwell gooseberries and several kinds of currents Pink Champagne is wonderful for fresh eating. Red Lake makes the best jelly. Rovada is gorgeous and prolific but we preferred the taste of the Red Lake. Bianca white currant grows great and tastes ok but looses out to pink champagne for fresh eating. There are many varieties. In black currents we grow Ben Sarek. It's ok. A skimpy producer so far. Currents are very easy care. keep them leaf mulched to keep the ground cool and do NOT over fertilize. Too much nitrogen can make them drop all their leaves. ! While I am pontificating on gardening do not get suckered into buying expensive grolights for starting tomatoes etc indoors. Plain old shop lights with normal fluorescent bulbs work just fine. We grow a couple hundred tomatoes every year, starting them under shop lights in an unused bedroom. This works fine. About a month before set out time we move them to a cold frame out in the garden. For a cold frame build a simple wood frame and cover it with ag fabric. The problem with conventional cold frames is they are tiny and can over heat very easily. The ag fabric is warmer than outside and keeps off the brutal spring winds here, but does not overheat on a sunny day. Wee love this system. it is cheap and works great. We put the frame together with screws and take it apart after we're done with it for the season. Thus it is only set up for a month or so each spring, which extends its life a lot. I also have Pixwell gooseberry - love it ! Propagates easily by cuttings. Only thing I have to watch for are the sawfly larvae - they'd eat it down to the ground if I didn't pick them off. I read somewhere that a "tea" made from foxglove leaves will prevent them, but I haven't tried that yet. I have "Ben Lomond" blackcurrant - it's quite prolific, makes awesome jam, especially when combined with black cherries ! Gets aphids, but the ladybugs or a good spray from a garden hose deals with that. Now... Why would i want my neighbors growing fruit trees, if i have a hard time trying to go chemical free? Do you know what they would do? They would grab a bottle of Sevin (carbamate) and spray every time they saw a bug! I'm sorry but i'm glad people don't grow fruit trees in their yards. Keep those chemicals contained in an orchard, we've got enough to deal with. I do realize that "newer" chemicals keep coming out (the best ones seem to be the neonicotinoids, at least for human safety). I speak from experience, i'm on my 5th year of growing almost every fruit you can grow, including sweet cherries, peaches and nectarines in zone 4 and yes, i have ripe sweet cherries, but because Surround WP doesn't seem to work too well on sweet cherries, they are full of Plum Curculio larvae. I also have nectarines and peaches, which are doing better. I bagged over 200 apples and had PC get into many of the bags...i've also had a lot of fruit drop (June drop). Bagging works, but you need to get a very good seal or else enough gap is there to let bugs in. Without "protection", be it baggies, netting or a clay spray (Surround), you are going to have to resort to chemical sprays. I would personally recommend berries. They are simple to grow, have good yield, are expensive to buy and can be kept spray free without having larvae develop in everything. After this year i'm tempted to cut down everything and grow flowers! Fruit tree growing should be done in A) under plastic/high tunnels/etc or B)in the desert (like what Israel does very successfully). Sure if you have enough trees, you'll get some good fruit, at the expense of a lot of "bad" fruit full of larvae which if not cleaned up will become next years problem. I'd agree with you if folks live in a must spray area. We do not. I spray nothing on my trees and never have. As a result I have a small problem with coddling moths in apples, but nothing else. I do not spray against the moths, just keep trying non toxic deterrents and have not planted any more apples. Growing or not growing fruit trees is not the problem, a commitment to keeping one's hands off the bug spray is. :-) We live in Wisconsin and just rarely are even tempted. soapy water in a can on an early morning gets rid of Japanese beetles. Ag fabric keeps many things pest free, as do benign things like onion water [aphids] and sour milk [cabbage worms]Mostly we attract beneficial insects and birds and have few problems as a result. The only spray "organic" that i can think of that would work against beetles is Azadirachtin (from Neem). The good stuff, like Neemix. Seems to work decent if you get coverage BEFORE the bugs show up. Its an antifeedant from what i understand. Its also expensive. The only thing i can think of that is a guarantee is coverage. Be it fabric/screen or plastic or just screw it and grow berries and vegetables (which is what i'm leaning towards). Apricots and pears "seem" to have less bug issues... Pear being the only tree in my yard i think i could not spray/cover and still get decent fruit. Peaches are nice because they fruit very young from seed (3rd leaf). Thanks for the info ,but the only beetles we have a problem with is Japanese beetles occasionally. A can of soapy water and fingers to pluck them off is the cure. On espaliers I can reach the entire tree from standing on the ground. This is another advantage of espaliers. Perhaps it is growing things without sprays etc. for over 20 years here, and decades more in other homes in other places. We have a lot of beneficial bugs and birds and very few pests. We're lucky I guess, but perhaps it is a 'luck' born of 20 years of stewardship of our 2 acres. I like to think so anyway. Speaking of fruiting peaches from seed, our Reliance peach is a prolific germinater. We now have 5 baby peach trees growing that are seedlings of Reliance. I've never had a fruit tree come up so readily from a discarded pit. The babies are growing fast. We've moved them to the fence line in a new extension of the garden. It will be interesting to see what the genetics crap shoot of seedling peaches gives us. And, yes, I know they will grow to be full size peach trees if I let them, but they'll be espaliered. I am 60 years old. Climbing on ladders to harvest fruits is not a good idea for me, but with espaliering them it is also unnecessary. I must sound a missionary for espaliering trees. Eh. I love mine and just want folks to know t is not difficult to do and the rewards are great. I'm not a cultist of any sort. I just like fresh from the garden veggies and fruits and like to garden. Now... Why would i want my neighbors growing fruit trees, if i have a hard time trying to go chemical free? Do you know what they would do? They would grab a bottle of Sevin (carbamate) and spray every time they saw a bug! I'll bet you're exaggerating. People don't "grab a bottle" every time they see a bug. They spray according to a schedule. There is no such thing as "chemical free" growing. Plants create their own pesticides naturally--some of which are extremely toxic. Surround IS a chemical. All spray products used to control insects--"organic" or not--are chemicals. I'm training as a pesticides applicator for the organic farm where I work. The first thing you learn is "organic farmers use pesticides." There's no need to be phobic about most over-the-counter sprays. Toxicity is dependent on dosage. The amount of "chemicals" you ingest in a year of eating store-bought produce pales in comparison to the harmful chemicals in a single cup of coffee. I WOULD NOT be spraying pyrethroids and rotenone around where kids play. How is Surround WP a chemical? Its clay. Its like dirt. Harmful chemicals in coffee? What about the "harmful" chemicals in cigarettes. My grandma, a lifelong smoker since 14, only lived until 86 before a stroke took her out on the operating table. I have nothing against synthetics or "natural", just realize both have there pluses and minuses...nothing in life is free. A lot of these chemicals are very hard on "good" bugs, so there lies another problem. Growing food WITHOUT chemicals is a dream, unless you go under plastic, and even then you can have serious issues with mites, but your yields can be tremendous. A research paper showed that tomato production in Spain under plastic was 10x what an outside field in Florida could produce in the winter. Do some reading on Israel and their agriculture. Its really amazing at how much they grow in the desert. Neonicotinoid pesticides have been banned in France as a possible contributor to Colony Collapse Disorder in bees - they cause disorientation, resulting in bees being unable to find their way back to the hive. While this group of pesticides is alive and well, and being sold in the US, I would not use them under any circumstancces if there is even a shadow of a doubt about them affecting pollinators. Their effects on humans are a secondary consideration. You'd think I would remember these things. But was never an Arborist, But espalier was one of the ways I was thinking about, and have learned about planting some magnolias near buildings. Sighs, I guess if you don't use something even if you know how to from a book stand point you will forget it. I better get out my gardening books and review all the things that I have forgotten, they might come in handy. Thank you so much Edane, This helps me a great deal. I have to many thin spaces to grow crops in, gaps and sunny spots, between sheds and fences and in between sheds. The Yard that I once knew as a child has changed so much over the last 30 years, the most in the last 20 years since I left on a more permanent basis. I am back living with my parents and have been getting the yard back into food production. I was growing things in a haphazard way in 2007, 2008, and last year started growing a bit more and thinking about doing so much more that I just got overloaded with ideas, but was also trying to change a mindset of my parents. I had not up till this year been able to get my dad to really think about doing a total yard growing system. I still have him not wanting to grow vegies in the front yard in the only patch of grass left not in shade. But while I was gone a few to many trees got started and now the yard doesn't have as much lower story open space as it once did. And I am not willing to cut down the two Slash Pines I planted back when I was a kid getting his first home garden, that he had free reign in. It is one of those things that the new gardener has to be mindful when planning, that trees if left to their own devices will grow in ways you might not want in later years. As a Landscaper you have to be able to project 10, 20, 50 years into the future to see where your plantings might be, and sometimes if you don't do that planning, you'll get results that they will blaim you for till their dying days. But the field of LA is so filled with neat rows and non-food plants that I have really gone over to the wild side and some of my fellow LAs think I am crazy. I know places all over these two cities where they could make great strides toward feeding local areas at least a bit of home (city) grown food that they would improve their standing all over the country. Recently a cities of the world best of list came out, 221 cities on the list, and the first US city was listed in the low 30's. 30 cities in the rest of the world that people would rather live in than here. Why have we fallen that far I wondered. One of the biggest things that pushed in this day and age is green areas, and parks. Might we also be thinking of turning a lot more of our already green areas into Food Gardens as well. I have been into Edible Landscaping for a long time, over 25 years, maybe even knowing of the need longer than I had a handle on the word and it's full conceptional value. I never did like Grass over plants that were edible. I worked for a Landscape firm in Indianapolis In. For a while in the mid 90's. The charts of all the weeds that needed to be pulled up by our weeding crews contained a half dozen edible plants, if not more. I can still see the one listing Purslane, plain as day. Lovely plant, and so tasty, it is a shame that it is on everyone in the Landscape business's hit list. There is a planter pot, one of those big square concrete ones they put small trees in, along sidewalks in cities. It is in front of the downtown studios of a TV station, and there hasn't been a tree in it for some time. But there is a huge crop of Purslane in it, which reminds me I need to get over that way and steal some. Free seeds and plants are one of those gifts that you can't get enough of these days. By the way I live in Central Arkansas, in North Little Rock, way up toward it's north end. Just so you know where I am talking about climate wise. Hugs to the edible landscapers of the world, and everyone else for that matter. Totally agree on espalier ! Can be used as an edible fence between properties. One can also grow several trees in one hole, if the trunks are slanted slightly away from each other. Dwarf or semi-dwarf varieties work best for this. I have about 1000 sq ft of plantable garden area. I have an apricot, a peach, a cherry, a nectarine and four apple trees, all planted in the garden border. I have to be diligent about pruning, but it's a great way to get out in the garden in February, even when there's still snow on the ground. Also, don't forget about containers. I have lemon, lime, orange, fig and banana in containers - they overwinter indoors. For bananas you need quite a large container to get them to fruit, but it's worth it. In terms of bushes and berries, I have gooseberry (very location tolerant), blackcurrant, filbert, grape and kiwi vines, raspberries and blackberries. Groundnut is an alternative, also. A lot of beginners plant fruit trees too close together;good results depend on each tree recieving adequate sun , preferably full sun, from all sides.It has been my experience that most newbies seriously underestimate the importance of PLENTY of sun;nothing much can be expected to do well in the shade. Larger trees need to be pruned to a haystack or Christmas tree shape, and have sufficient space around them to manevuer with the necessary ladder when harvesting.This takes a lot more space than you would guess. Sometimes you can grow a cool season crop such as kale and get a decent yield in partial shade in hot weather so long as the crop gets at least a few hours of direct sun.But in general yields of most crops fall off faster than you would believe as the amount of shade increases and the hours of full sun decrease. One strategy that works very well for homeowners is to grow some crops in movable containers.I use heavy plastic drums sawed off about fifteen inches high with a hand hole cut into opposite sides with about ten to twelve inches of soil to raise herbs for our own use. Two adults can easily move one as needed to keep it in a sunny spot through the growing season.I didn't lose any perennial herbs to the nasty winter as I was easily able to move the tubs inside . Most of my nieghbors who don't farm or have regular gardens have a few tomatos and peppers, etc, growing in such drums and get truly excellent results. I reccomend that folks who are not already well acquainted with ladders and used to climbing stick to fruit trees that can be harvested with no more than a short step ladder at the most;lots of experienced pickers suffer serious injuries.My next door nieghbor is crippled up for life as a result of a fall suffered picking apples-and he had many years experience. The risk is excessive in relation to the payoff if you have no experience and only a couple of large trees. Don't be fooled by a few years of warm winters-it's one thing to lose a few tomato plants to a late frost or freeze;replacing them is easy.It's another to wait for Fruit and nut trees that winter kill to grow back. We lost a bunch of new peach trees this last winter to winter kill even though we have been growing peaches in the same place for fifty years.We saved a few by mulching heavily and wrapping them up in burlap and plastic but by the time we realized how bad the weather situation was, it was too late and too nasty to do much to save the little trees. As a practical matter, it might be better for most folks with jobs,kids, and commutes to seriously consider the low labor choices first; for example blueberries are a lot easier on the back and knees than strawberries, and they are much less time consuming. We just started on 'ginormous flowerpots' this year. A dwarf lemon, a jasmine for tea, things like that. When harvesting apples to be immediately canned or dried, not stored whole, we use the "shake the tree" method: spread blankets and quilts under the tree, climb up to the lowest branches, and tug and shove to gently vibrate the branches. The ripe fruits fall off and land on the cushion of the quilts. Then take it in and straightaway make quarts and quarts of apple pie filling. These are typical experiences, and I can't resist relating our own trials here with a small "hobby" orchard of semi-dwarf, old-time apples. The warm winters recently--rather, the preternaturally early springs--have been a curse. Winter ended in Northern New England at the end of February this year, and the apples started blossoming at the end of April, at least three weeks earlier than normal. It was horrifying. Why? Because of the "reversion to the mean." Frost in May is inevitable. In mid-May, we got two mornings of sub-freezing temperatures while the trees were in full bloom. Everything was wiped out. There was nothing we could do about it. Last year, the problem was intense, long-lasting rain storms that came in late spring and ruined the crop: pollination was off, and I simply couldn't get into the orchard to spray. This is why people should not expect to get their diet from perennial crops only. Yield can be next to nothing for all sorts of reasons. By contrast, annuals MUST reproduce each year, giving you fruit or seed, and so they are more even in their output. I suggest diversification: have an orchard and berry patch, and have an annual garden. Luckily, we have all three. We just finished last year's onions and cabbages--the first of June. Not bad! "I suggest diversification: have an orchard and berry patch, and have an annual garden." Exactly. Not only diversify across harvest times, but by type. Note that permaculture encourages the blurring of lines between orchard, garden, berry patches, etc. Some of our landscaping beds around the house/walkways appear to look suburban-like, though are populated with huckleberries, lingonberries, gooseberries, figs, aroniaberries, wild blueberries, dwarf fruit trees, and countless herbs interspersed throughout. Another good thing about espaliers is you can throw ag fabric over them in event of an ill-timed freeze. And you can throw netting over them to keep the birds out of the fruit. And the controlled size keeps things in the realm of what we can manage comfortably. But you are absolutely correct people should think carefully about what they can really handle and what is too much for them and their situation. Exceeding your comfort level will only mean failure. Start small and develop your gardening skills. We use espaliers and raised beds now and it has cut the amount of work drastically. If you are looking for consistent production, picking locally adapted trees are a must. There are several old homestead apple trees here that will consistently produce where others fail. As alternate year bearers, these are often shunned, but the remedy here is having a few overlapping trees. Alot has gone into producing apples that consistently fruit each year, but I feel we are often sacrificing health and vigor of the tree. That said, look to varieties that produce outside of your climatic norms. One variety I think is overlooked is the Goodland, a Canadian introduction. It has fruited for me following a winter of -46F, Taylor Max/Min, recorded in the orchard. Windchills that winter were much worse, and constant on the plains where we lived, where dessication is a large factor in tree survival and health. There are actually many varieties which are cold adapted, I simply prefer the consistency and flavor of the Goodland. Continuing on your theme of counting your chickens before they hatch, last fall brought three consecutive mornings of 11F or less in early October. Any fruit not ripened and picked prior was mush. I have done espalier and another method to keep trees short and compact that involves top pruning in the summer (keeps height down without causing lower buds to break) and thinning in the winter (allows plenty of light to get through to branches being kept). You need to start this process right after getting the trees into the ground by establishing a growth frame where you keep and train only 4-5 main stems in a candelabra or modified leader structure (depends on species and the shape of the young tree). I would push stems apart to train for more spreading growth using thin slats of wood with notches cut at both ends. This is somewhat similar to espalier, only you let the trees have a circular canopy that is no more than 7 ft high. It allows for tighter spacing in the yard, such as 10 ft between trees. One problem with short trees and pruning systems like espalier is that the fruits are more likely to have their skin burned if the sun is particularly fierce. Spacing of fruit and nut trees will depend on the cultivars to be planted and the type of planting arrangement. As you will see in the next post, spacing of apples depends upon whether they are freestanding or in intensive arrangements such as espalier, tall spindle, super spindle, etc. Nut trees tend to be planted primarily as freestanding, so their spacing remain rather steady (for each type). This year I got broccoli and lettuce in early, interspersed with flower plants. It's good. Broccoli in with the iris, lettuce tucked in here and there. Theoretically the broccoli will be supplanted / supplemented with tomatoes later in season. A long row of peas, where there will be different crops later, at the edge of a bed. Have numerous tomatoes ready to go in, but no weather fit to plant them. Those were grown on a shared arrangement with a friend who has a greenhouse. I've sold some of those, also. Hampered by shade AFA trees, but plan to figure out at least some of that. We have an eventual goal of not one single plant in the yard that doesn't contibute to the food/medicine of the household in some way. The rhododendrons will have to come out eventually, can't eat them! It is important for people to start on this stuff now, because there is a learning curve. Plus the usual five year struggle to restore the soil in most areas. We are beginning our fourth year here, and if there is one lesson coming clear so far, it's not planting too early. There is always a couple lovely weeks in April...then winter comes back. It simply is not safe to plant here before May 15th. So hard to wait so long, after the cold wet winter. But it's not worth losing the crop over. We have a so-called "north hardy" nectarine, and this year it actually set fruit...it also developed peach leaf curl. I have resigned myself to having to give up peaches/nectarines, the fancy fungicides that can keep this pretty little tree going are just not a sustainable option. This is also part of the learning curve; learning what won't work here. I'd rather learn now than when my family's life depends on my dumb mistakes. You may want to consider your statement "We have an eventual goal of not one single plant in the yard that doesn't contibute to the food/medicine of the household in some way." from another perspective. Such a landscape will be difficult to keep fertile over time without soil amendments. The permaculture approach would be to include supportive plants in the landscape even it you may not be eating them. For example, we also live in the Northwest and are interspersing native Red Alders and some Red Maples into our fruit and nut groves. These provide nitrogen fixing and mineral dispersement through roots and leaf drop. We have several acres and so can accommodate these large trees. For a smaller space there are many more compact alternatives, such as seeding Red Clover under a tree to help fix nitrogen, or consider grey water and humanure systems for mineral supplementation. Edible Forest Gardening http://www.edibleforestgardens.com/ is something that can have potential for human sustenance in almost any yard, but a guiding principle might be to design it to be as self renewing as a natural ecosystem. That means looking for and encouraging beneficial interdependencies, even if you can't eat everything directly. I whole heartedly Second that advice. I have a green thumb, I have an aunt that has green all the way up her arm. When I would come to visit her her back breakfast room was like a greenhouse. Plants everywhere, I started loving plants from the single digits, I don't know when I first have memories of those plants, it has been such an engrained image. That and my uncles rock collecting. It seemed like they did a lot to influence my mindset. She was my dad's older sister, but he thought of my unlce as a brother. Very close family ties. I grow things just because they love the shade that I have, and I am fond of several wild speices that have found a home here, that were likely wild seeded, and not planted by man. Don't get rid of all those plants, you'll be doing a harm that you can't see. But you can plan to take some out, and move them elsewhere, or find out if there are uses for them that you did not know about before. Found this in the rhododendron page at wiki. I Don't know which species they were using, as there are about 1,000 of them. We like Azaleas down here in Arkanss, and my mom loves flowers. We had them in the front yard when we got here, but they got leggy and died. Dad cut and dug out japanese privets on the fence to the east, and put in some small Azaleas, and I have some Zucs growing in a spare patch of ground. I'll check out the edible drink bit some more, I knew there was a reason I had for thinking you didn't want to get rid of them totally. I am always hunting for plants that can be made into alcohols. It is truly amazing that there are so many of them out there, and how humans figured out what they have so far about plants is cool as well. But then I am a guy who walks in the world, tasting new plants to see what he can learn about them. There are safe methods of tasting small amounts of things and knowing what their basic uses are, or if you might not want to eat that one again. I don't eat fungi without better knowledge of the little fellows. But plants tell you a lot, by taste. It is how someone long ago figured this all out, unless you might think God just handed out a list of plants and said these are good these are bad and these will get you high! For your other shadey areas, mints do okay, I like my Lemon Balm which has been in a deep shady spot for ages now. May apples and sassafras likes shade. There is a member of the same family as the honeysuckle that grows in a bushy form that likes shade, usually found wild, but the fruits of it are edible and make a nice jam, I'd be careful of it till you figured out your system could handle it, but it is pretty good. I'll have to hunt some more for the species name. I know the plant by sight, but I was not where I could take out samples to get them ID'd. When you have no less than 200,000 species of plants in the world, there are over 20,000 food species grown, and loads of others that occur wild and are edible but hardly ever find themselves in home gardens or even the big botanical ones. You might dig up a plant and never know that you could have used it for something. Ask the local tribes, and peoples of your area, gather books of the cultures of you area and see if they knew about a plant and used it, and the knowledge has been lost from the annuals of modern history. Hug your hosta, and hugs to all. Ps, the BioWbScape project is all about learning what plants out there that can be adding back into our human use, and how to take care of the world we ahve been trashing for so long. Though I am not really a permaculturist, I don't follow some of their business modeling, but we are all related. Snicker, there was a video linked here recently that was saying that the bible got that part right, one single female and one single male are the parents of all the 6.8 billion people on earth today. For the backyard arborist, regular hand watering with very dilute miraclegrow (MG) will cause fruit trees to grow real fast. The amount of fertilizer is quite small, like a Mason jar of solid MG would fertilize two dozen semi dwarf trees for a season. That said, I've been composting the leaves from the neighbors Bradford pears and scarlet maples. I have a couple 10 lb boxes of MG and a couple small sacks of 10:10:10, so that's a decade worth. Compared to what the average chump puts on a lawn, this is small change. Please seriously consider not using chemical fertilizers. They tend to actually deplete the soil in the long run. Organic fertilizers and practices are having better outcomes in longitudinal studies. Organic fertilizers, such as dung, compost and compost teas actually help build your soil and soil biota. Making a compost tea and misting onto your plants can have anti-fungal and anti-pest effects while also encouraging plant growth. Fungally tipped teas should be spread directly on the ground, not on the leaves. Very dilute MG is something I found on a forum when someone said "OK, I've been stringently organic for a couple years and I'd like to see something grow during my lifetime, so what's the straight dope?" But my leaf compost seems to be working extremely well also. It's swarming with worms, and my container plants are growing like mad. Actually, Preston is doing what he should be doing--what works for him. All fertilizers are "chemical" in nature. His practice of using dilute MG is hardly even close to a "long-run", "soil-depleting" activity. Please get a grip. Some study results show that in some cases compost tea can help to control some diseases. A plethora of studies also demonstrate that compost tea is useless. I've frequently heard people who promote compost tea say that the reason this substance fails is that it's brewed incorrectly. This may well be true; however, if seasoned researchers can't figure out how to brew this stuff properly, I don't like the chances of the average Joe successfully brewing the stuff. Though I'm willing to say that compost tea may be able to help to control some diseases, particularly if it's made properly (Scheuerell and Mahaffee 2004), I'm not convinced that it can do any more safely than other organic or synthetic sprays. Research shows that even though composting will kill off most pathogenic organisms such as Escherichia coli and salmonella, it's entirely possible that once that composted material hits the conditions in a compost tea brewer that are so beneficial for bacterial growth, these disease-causing organisms will bounce back and reach potentially harmful levels (Duffy et al. 2004). This is potentially scary, scary stuff, especially considering that organic gardeners and growers use this brew to try to avoid the dangers of synthetic chemicals. So Preston, keep doing what you're doing, and don't believe the hype. Thanks MikeB for posting that. There are several different things to worry about in our practices be they non-organic or Organic. Which technically everything is only made by a sun from long ago and placed on this planet but deposit and then we get to decide how to use it. First, Be careful where you get your organic matter from. The nasty things that killed Joe's Plants got put on his curb now you have it in your yard, because you mined his waste pile. Second, Not all compost heats up and kills the nasties, be they weed seeds, bugs, fungals, or disease spores. I have a lot of slow setting low temp compost in my yard, up along my back fence, mostly grass clippings from my yard over the year, and leave piles. They are full of worms and could be full of nasty things If I had gotten them from elsewhere, but I don't. Unless I know the sources I usually don't even bring in straw from off site. Third, I have used MG for years. Right now I don't think I'll quit using it till they stop making it or I can't afford it. But I use it when I plant, and only once or twice during the season. Red Arkansas clay might or might not be good for plants, but you have to add a lot of organic matter to it. I try not to use anything that might kill the worms, or the good bugs. So I hand pick bad bugs. If something gets a fungus or virus or whatever, I burn it when I can, or pack it off when I can't. On a side note. I am going to try to harvest wild varities of a local blackberry vines stand. We were going to Home Depot to get a room AC for someone whom we help, and passed a stand of blackberry vines about the size of my house (900 sq ft). They were just getting ripe, Dad and me got two small handfulls. in a week, we'll need a bucket. You may want to consider your statement "We have an eventual goal of not one single plant in the yard that doesn't contibute to the food/medicine of the household in some way." from another perspective. Such a landscape will be difficult to keep fertile over time without soil amendments. The permaculture approach would be to include supportive plants in the landscape even if you may not be eating them. Ah. Let me explain in a bit more detail. I had said, "contribute...in some way". It doesn't have to go directly into our mouths to contribute. We use Dutch White clover as the default ground cover. It is allowed by the Homeowners because it stays fairly short while looking nice, thus relieving elderly and disabled residents of lawnmowing; and helps out the honeybees to boot, which makes the Homeowners feel like it's doing its bit to save the world. The clover is everywhere, lawn area, along the garden paths, and under the vegetables to fix nitrogen and shade the beds to conserve water. We use Dutch White because it has a nutrient profile superior to other clovers for use as rabbit feed. And that is the other leg of our little system. The rabbits provide plentiful manure to use in the garden and to act as bedding for our worm bins. Rabbits are not very efficient at using the phosphorus and potassium in their feed, so most passes on through in their manure. The plants love it. Rabbits are silent too, so are excellent candidates for Stealth Farming. I wanted chickens oh so much, but there just is no way to avoid the cackling at egg laying time. I have resigned myself to having to give up peaches/nectarines, the fancy fungicides that can keep this pretty little tree going are just not a sustainable option. Borers are a lot harder to deal with. Is there a reason you left cherries of the list for Mid Atlantic zone 7? I've planted them here, got good results for a few years, then the trees died while oozing goop. Should I give up on cherries? What is the goop oozing disease? I believe that is "canker." The goop-oozing disease is most likely a bacterial blight. We get one here called "shot hole disease", in addition to the ooze it looks like the leaves have caught a blast from a shotgun. It came in from a neighbor's ornamental weeping cherry. As far as I'm aware, there's no cure once a tree is infected. I have seen recommended the use of copper based fungicide as a preventative spray; but copper is a nasty toxic that can build up in the soil. Where the wild things roam. The best plants at times are the wild ones that have not been changed through any of a number of methods, hybrids, GMO, etc. Feral plants though, at times only grow in some areas and won't move well. The soils are so diverse that to know all the kinds of soil structure types is as much of an on going thing as species. Life happens, That is all I really know. And the more I read, and the more people look around them, the more they find life in the oddist of places. I am reminded of a video on How Earth Was Made, they were talking about the high desert in Peru, that gets 1/8th an inch of rainfall every few years. There was one feild that was filled up of big and small white rocks with black and green streaks in them. The white was salt, the black was the dirt from the soils, and the green was algea, in very tiny pore cracks in the salt. The super dry low humidity was still not Zero% and the Salt was able to draw a bit of water vapor out of the air, and in the pockets of those cracks there was life, small colonies of green. All over this field in a high desert where hardly any life was, there was still creatures like a lizard whose skin funneled the morning dew towards his mouth so he'd get a few drops of water every day, when the few minutes of dew formed. There are stories of Dew collection ponds built in Britian, Shallow bowl is dug, then straw is scattered on the ground and up the sides. And over a few weeks and months the pond is filled, with dew being the biggest source of water. I find it wonderful to walk barefoot in the morning dew. I Have even gathered morning dew off of tarps as a small but stable water source while in the wilds. A friend plans on building a concave water catchment, with the bottom being a funnel to the tank, and I mentioned that he'd be able to get a bit of water via dew that way too. Which makes me want to go out and collect the dew to do watering for some of my plants.. thinks he'll get breakfast first. There is so many things that need to be learned, that even old men are still learning things about their gardens. It does not help the learning curve much to have weather that is not at least predictable to a small degree. I think there are certain places on the globe that will be in higher flux than others though. Unfortunately we seem to lack "plant doctors" that can accurately diagnose these diseases (seems like a great business opportunity for unemployed biologists), so you just have to investigate on your own. One possibility: a fungal infection. If your observations support this hypothesis, please investigate Lime Sulfur as a possible remedy, which is on the Allowables list and the fruit can be harvested a day after application. I have had great success in treating "oozing goop" (sap) from various fruit trees using a high-concentrated lime sulfur sprayed directly onto the woody parts only. I love cherries, but because of diseases and bird damage, I've held off planting my own. There are so many other excellent fruits that require less care that I demurred on cherries for now. I know a couple that grows potatoes in old tires. They call them potato towers. They plant 3-4 seed potatoes in a tire full of soil. As the plant grows, they add another tire and more soil and straw. Some of these towers get to be 8 tires high and produce 40-50 potatoes in a very small space. Would you build raised beds with treated lumber? Growing a food plant in a tire strikes me as very foolish. Many people do this to save space and recycle. The amount of seepage, if any, from the tire is going to be very small over such a short period of time. Also, the fellow who designed the Earthships has done lots of checking on this and claims there's no real danger. Worth checking the earthship site. I've searched hard for any studies showing used tires pose a hazard when used as planters. I couldn't find a thing. Perhaps you can provide a link. PT lumber is injected with poisonous metals. Any volatile compounds used in making tires are cooked out in the manufacturing process. What's left is natural and synthetic rubber, steel and polyester. They seem to be very inert and stable. This is why they last virtualy forever in landfills and junkpiles. Certain plastic planters may be more hazardous, though I doubt it's an issue. The couple I refered to have been planting things in tires for decades (squash, mellons, berry bushes, pole beans, etc.) and are well into their eighties. Still going strong. Good enough for me. If you're in the mid-Atlantic, you are probably dealing with Edible Landscaping in Afton VA, so give Michael a shout-out OK? If not, make sure you stop by. It is a very scenic drive in an area with excellent secondary roads. More people should try the hardy figs, Asian persimmon, and hardy kiwi vine. The figs and persimmon are pest free and precocious. If you get a chance to see Michael's mulberry trees in late spring, it is awesome. They are covered with berries like a tree is covered by ice in an ice storm. The kiwi vines are also surprisingly pretty and fragrant. Don't forget the wire basket fruit pickers that mount on a pole. I haven't needed it yet, but maybe next year. It's hanging in the garage. Yes, about half of our plantings (100+ trees/shrubs/vines) are from Edible Landscaping, as we are not that far away (and transport miles factor into our decision). I've had a few discussions with Michael, and happened to visit one Sunday morning when the International Plant Propagation Society (IPPS) dropped in, so we joined in on the $100 tour. We'll be talking about a lot of interesting fruits and nuts in the coming article (including the ones you named). Speaking of mulberry, we have two Chinese mulberry (Che) from EL, and the fruit is succulent. Also growing kiwi. There are other suppliers as well, which we will address in future articles. Will: This positive article is a welcome change on this forum. Thanks to Gail for posting it. 1) On the subject of location, please recognize that many "Home Owners Associations" explicitly prohibit edible landscaping. The typical languages goes something like: "Gardens can contain any combination of flowers, shrubs, rocks and boulders. But to help maintain a consistent and appealing look, plants can not be of the fruit bearing, nut bearing, or of the vegetable garden variety." There are many understandable reasons for malnutrition and starvation around the world - poor soil for example, but vanity should not be one of them. We obviously need a blanket national policy prohibiting such limitations on private property. But until then, we might consider listing "HOA stealth" varieties of trees and plants that do not draw the attention of the meddlers and busybodies, or that can camouflage their edible parts, etc. 2) Many plants that suburbanites have been media-preconditioned to identify as "weeds" are actually edible and nutritious: dandelions, chick weed, purslane. The obvious truth here is that native, edible plants, by virtue of their "weediness", are automatically and very strongly disease and pest resistant, require little amendments, require no tilling and propagate easily. The fact that they compete so successfully with grasses make them a threat to the "lawn", and thus the agrichemical industry reaps millions in profits by picturing these food plants on the side of their grass-centric lawn care products. In my experience, well cultivated and properly harvested "weed" plants are superior in flavor and nutrients to most store-bought greens. Edible, tasty and nutritious "weeds" need to be explored, promoted, and propagated. Here is a good resource on the subject: "Handbook of Edible Wild Plants and Weeds" by Fern Ritchie. 4) The biggest challenge is not necessarily in building healthy soils, water systems and plants, but rather in building healthy *farmers*. The industrial-military-judicial-agro-media complex has decimated this most precious resource, and we need to defend the farmers rights as well as our own (please refer to point number one above). We still have traditional farmers who can pass on valuable information, but taxes and old age have taken their tolls. Remember to consult them while making your own list - they can save you YEARS of wasted effort. 5) Genetic engineering of food plants is another "BP-GOM" magnitude disaster waiting to happen. Blowout preventor mechanics are absolutely trivial when compared to the bio-chemical dynamics of DNA/RNA of which we only have a partial understanding at best. While making up our lists, please let us consider heirlooms first and avoid patented seed. A good book on this subject: "Seed to Seed - Seed Saving and Growing Techniques for Vegetable Gardeners" by Suzanne Ashworth. Homeowner Assoc rules, grrrrr! We are supposed to be limited to 10 x 10 feet for veggies. But we discovered an advantage to the general ignorance- none of our neighbors know what chickweed looks like! And we got such compliments on "those pretty plants with the lovely little flowers"- potatoes! Go go guerilla gardening! I second the recommendation of "Seed to Seed" by Ashworth. Heirloom varieties, yes; you can plant the seed of a hybrid but what you get the next generation looks nothing like the parent at all. All the hidden genes of the grandparents come out. With heirlooms all the "grandparents" were the same to start with, so no worries. There was this hippie kind of guy, Chris Nyerges, who also wrote a fairly good book about edible weeds. "Guide to Wild Foods and Useful Plants". Includes stuff like soap-from-plants and sewing-thread-from-plants. Surely you just need to get people into your local homeowner association who can then relax the rules on gardening for actual use of yknow the garden. I also hear plums make excellent bribes. I can see how paying towards certain community parts of a street would work, and you want some minimum rules on structures, but i'm surprised telling people what veg they can and can't grow in their own garden hasn't been sued out of existence. Your third point is an especially good one. A couple of years ago, an old cookbook fell into my hands, containing many recipes making use of wild plants/weeds. I have to admit that I was not interested in it from a sustainability standpoint, but rather from a pure culinary perspective. Since then, I am off to regular scavenging trips to stock my kitchen. Unfortunately, though, I do not have a garden at the moment and can't grow more than a handful of herbs on my windowsill. Yes, there are a number of food pyramid models, and one should look them over and use the one that best suits their needs. One thing that needs to be commercialized is the southeastern Coastal Juneberry, because Saskatoons get crushed by Cedar Rust once you are out of the mountains. Second the recommendation for Edible Landscaping. We've made a few unwise choices, but the trees we get from there have always started in excellent shape. California Rare Fruit Growers (CRFG.org) is another good resource. I've read somewhere that Jujubes can sucker a lot; you might want to check on that. Pawpaws vary; some are excellent, some are raccoon food. You need two. Few pests, deer don't much like them, roots to heck (meaning, ours is thriving in the root shadow of a water-sucking silver maple). Dolgo Crab Apple is really nice. We convert ours into jelly and applesauce, using everything except what remains of the skin after serious boiling, and the truly inedible bits. Some trees are available on dwarfing rootstock. Gooseberries are also nice, once they get rolling. Very prickly. We enjoy our blackberries (Illini Hardy) but their thorns are awful. Thornless would be better. We have plans to get kiwis and persimmons. (2) is local really that important? I was under the impression that some foods were shipped very efficiently, and some were not, but that some foods (e.g., corn-fed beef/pork) consumed so much fuel calories that they should be eaten very rarely, no matter how close you are to the producers. I also read, somewhere, that in the usual case, the most costly transport is between the store and home. (3) Pimentel and Pimentel have written on food and energy, and discuss energy costs of growing various crops in various ways. (4) For both increasing health and reducing footprint, it is probably a good idea to do your grocery shopping by bike or by foot. The health effects of regular, real, exercise, are large (they were very obvious in my medical bloodwork, put it that way -- nothing else made anywhere near as large a difference). I have 2 jujubee from Edible Landscaping that seem to be on different rootstocks. The So doesn't sucker and seems to be capable of sending roots 50 ft deep, as a friend from China described. The Li sends up suckers, and I have managed to yank a few and put them in pots for rootstock. Nothing wrong with that. The roots are numerous, extremely long, fine like pasta, and fleshy. The suckers are green and fleshy, whether they come from the trunk or out of the ground. I think a formidable hedge could be made from jujubee rootstock, especially along the curb on a hot street where it would thrive in the scorching heat. Yes, we are finding the Li Jujube rootstock to exhibit a suckering tendency, though we simply cut them off (and propagate some of them for future grafting). More on jujubes in future articles. Any idea how hard to graft they are? Easy as pears or tough as persimmons? I will be curious to see what sort of fruit the rootstock have. Ironically, their tropical habit seems to make them bulletproof regards frost, not leafing out until weeks after the last frost and not flowering until May, weeks later than any other tree. They are last to leaf out and first to drop them in the fall. Excellent near pavement and screaming hot microclimates. And they seem to be able to handle temps <10 F in pots. It might be interesting to do as a large bonsai tree in pots. Gee, fruit and nut trees and edible weeds-- if we're aiming to convert people to growing some portion of their own food, these are lousy choices to emphasize, IMO. Most fruit is *very* difficult to grow without major chemicals, and eating dandelion greens and mallow root and nettles isn't even remotely appealing to suburbanites. And those don't constitute a major portion of Americans' diets anyway. What most suburbanites lack is time and confidence. Most gardening advice is heavily tilted towards the ideal for maximizing production, rather than what's the minimum need to get some real goodies for the table with the least effort. A campaign that focused on the things you can grow with ease and simplicity seems to me would be the best route. I have great success with delicious pears and sour cherries using *zero* spray. Peaches get occasional lime sulfur only after extended rain events. Keeping the grounds clean (i.e. allowing deer access to forage fallen fruit for brief periods) and pruning for disease resistance (i.e. ventilating center of peach trees) are some methods to avoid spraying. The more you spray, the more you need to spray. Also, the local Wegmans market offers dandelion greens in the fresh vegetable section, which is very encouraging. If the audience is beginners , you couldn't be more right. That's why I mentioneed earlier that low labor crops shoi;d be considered first. For those of us willing and perhaps even eager to eat like our forebearers did, there is a good to excellent chance they can grow some tree fruits at least without much of anything in the line of chemical inputs. Thre are lots of old apple trees around here that bear plenty of good edible apples, apples that taste great and store well;but they aren't pretty apples. W e don't even know the names of them anymore but you can find one around lots of old houses or home places. A cutting and a little grafting and you have an ornery ugly but bullet proof apple tree and you even stand a pretty good chance digging up a seedling from nearby of getting a good tree.Such a tree might bear for sixty years or possibly even longer. This is well worth the time and effort involved for those who have ample space and can afford the gamble; nothing is at risk except the loss of use of the spot where the tree is planted. The same applies to a degree to other trees such as pears and cherries but the opportunites to find them for free are much morelimited, at least in my area. It seems that some of us have been at this so long that we have forgotten that not everyone we talk to are jaded green thumbs. So you are right to think about this in the fashion that you did. But that being said, nuts have good uses and should be added to people's diets again. Fruits that can be grown in your areas that you might like, taste test fresh kinds from the store to see if you like them, (never eaten a pear? I was surprised that some people don't even know what they are) then try to grow them in your yard. My parents grew up in the depression and I have had exposure to the purslanes and dandelion greens and all kinds of other plants. I am 46 and they are 74 and 80. So there is a generational gap. What we are seeing is the results of a food desert in American Culture now. If half of your foods are grown on Agri-farms and processed before you see it, you have no clue what fresh tastes like. And you have maybe 200 kinds of fresh plants in the green isles of the best stores. It is a desert compared to the number of things you will find in local markets around the world. The USA mindset which has been tagged as the BEST way of doing business is to slice out the oddities and push the single things that plant seed makers and Business interests can control. Monocultures are a big bad thing, that modern farming has pushed, and it limits your choices and limits your ability to try the things your parents and grandparents had in their diets. As we see more people from over there, come over here, we are seeing local shops open up with odd plants from the old world. I have always been interested in other cultures. Dad was in the Air Force so I was exposed to all kinds of people living on military bases in other countries. And my dad being a Chef by training, along with several other schools he has went too, High presure Boiler operator, Cabinet making, car repair, Hard line Phone repair, plumbing, electrical, radio repair, generally he can fix most things in anyone's house or yard. But his overall learn everything you can about everything you can, has pushed me toward doing the same thing. So I have a vast food background, and I have tried foods that most americans have never heard of, unless they come from that culture, or eat their foods. Sure grow the standards, but 500 pounds of potatoes and 500 pounds of tomatoes would not be a great way to feed your family every year. Grow a lot of variety, grow things you have never tried growing in test plots, grow more than you need. If you have a wide variety of things growing and half of them die for whatever reason you still have something to eat. If you have everything come in and you have tons of stuff more than you can use, give it to nieghbors, friends, local food pantries, the needy folks in your area, sell it or something just don't waste your extra. It is a learning process that will never end, enjoy the trip, and by all means start small, and be prepared to grow in all directions. If you get the green thumb bug, you'll have a great hobby that will last a lifetime. "Most fruit is *very* difficult to grow without major chemicals"
If you step back and consider this statement, I think you'll agree that fruit trees grew just fine all by themselves for millions of years. The problems have started coming in with human expectations of yield, quality and appearance. "Wild" fruit varieties are very hardy. Years of selective breeding for certain characteristics e.g. color have contributed to some varieties being less pest-resistant, and needing continued pesticide application - granted, there are also some that have been bred for more resistance. Nevertheless, the biggest challenge we have today is the image of the "perfect" supermarket fruit. Large, colorful, shiny and blemish-free, and suitable for cold-storage. Often rather tasteless. The real truth of growing fruits in the future will be in learning to "accept" fruits that have a bit of scab, or the odd worm-hole or bird-peck as perfectly edible if you just cut off the "bad" bit. Instead of planting one of the half-dozen "popular" varieties, we will learn to rediscover varieties that are less fussy and more tolerant of local conditions. Another thing to consider is that diseases and pests often attacks weaker, unhealthy plants. If a certain plant is consistently doing badly and getting plagued by pests, better to remove it and replace it with an alternative, or a healthy plant. Also, consider that missing elements in soil could be a cause of the issues - maybe the soil can be amended to improve conditions, maybe not. This reply captures the gist of what I would say in response. I would also add that there are quite a few fruits that are not offered in the typical grocery store that are disease/pest-resistant, hardy, and relatively productive. We'll go over many of these in future articles. Compost teas on fruit trees - I've done several sprays on my entire garden - no fruit trees, but some currants - and things are growing well. Supposedly teas have anti-fungal and insecticidal properties. Any issues with comp. tea and fruit trees? And that should be the signal to grow something else in the space. Or relocate. Mike, what amazes me about your logic is you seem to be ok with the idea that growing one's own food is a hedge against supply disruptions due to Peak Oil, yet you have the notion that the grocery stores will still magically be stocked with your favorite chemical spray. What are you going to do when stocks runs dry? Or become unaffordable? The best adaptation is to start learning to do without now, before the shelves run dry. Goodness, what a hysterical response! Who vouchsafed you a vision of the future? I would hazard that stores are simply not going to "run dry." That's a version of the straw man argument of peak oil, that it means "running out." Do you think "organic" sprays are going to fare any better? Do you think fruit trees are the only plants I grow here in Northern New England? There's plenty of "something else" in this space, and we don't have the luxury of just relocating. First, I never said anything about "Organic" sprays. Second, you are conflating what I said. I never said Peak Oil was about "running out" of oil. What I said was store shelves might run dry. If you read the news last year, you would have seen how some stores ran dry of rice. What's impossible to imagine about stores running dry of pesticide ? Third, what is hysterical ? In the last two years we saw a number of large corporations bite the dust. Lehman Brothers, Washington Mutual, to name just two. How many banks have gone down ? We just saw an "unthinkable" blow-out in the Gulf of Mexico. People are talking about BP going under. One of the largest corporations on the planet. I don't think it's hard to envision any one of the large agri-chemical companies such as Dow Chemical or Bayer Crop Science going down when the costs of production/distribution become too high. Maybe Monsanto will go down. Nothing is unthinkable. A smart person has a plan. I just want to know what your plan is. one thing you can do to improve pollination, increase harvest calendar, and increase diversity of fruit is graft multiple varieties or sexes onto a single root stock. I have a peach with 4 varieties grafted on it, each one ripens at a different time. Same can be done for trees with only male or female flowers - just graft a male branch on a female tree. he University of Arkansas Cooperative Extension Service offers many workshops and seminars about home landscaping through the county extension offices and the state. 1) Get a soil test to check out what your soil needs. Even if you think you know what your soil needs in general its ALWAYS good to be on the safe side (also make diagnosing problems much easier). 2) A lot of people try to grow blueberries because they like them in pies and such so they go through a huge hassle to get the pH low enough to grow them. A better idea is to grow serviceberry instead (although its a tree and not a shrub but I bet if you cut it off near the ground and let the suckers grow up it would be shrub like, I know a guy who did this to his cherry tree). A lot of people like the taste better and since it can survive in higher pH soils than blueberries they require less work to maintain for people who have higher pH soil. I had good luck with low bush blueberries mixing about 1/3 peat moss, cheap bagged compost, bagged topsoil, and some bagged manure. The cheaper compost and soil has lots of white sand. The peat moss and sand recreate the loamy sand of the coast. We've had good results with both blueberry (required soil amendments) and serviceberry. Indeed, the serviceberry is ripening now, and the blueberries are just beginning to turn. I find serviceberries to be a bit more flavorful than blueberries. With regard to land supporting you. Not through passion, but through conviction. I pretend that I have a 30% chance of saving my precious grandsons. I do not urge you to follow my example for I am unsure of the results. It all depends on how you see the future unfolding. The future will not look the same as the past. So whatever your plan do not see things as they are, but as they will become. Please advise me on how the future will unfold. I see pot plants in your future. On the Oil Drum we avoid flame wars and try to keep the signal to noise ratio high. Amusingly (and actually relevant to the article) i was refering to plants in pots, which you would then place on your boat... because you have a boat, and this is an article about gardening. I have become too defensive. 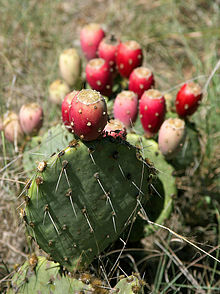 When climate change happens don't forget prickly pears. They are hardy and delicious. Yesterday I bought a fruit from the shop here in Australia. The receipt called it a "Pommie Granite". I hope it is not too hard. Arthor, Ignore the pot plant comment. But don't ignore potted plants. Do you live of the Boat full time? If you do, you can get an extra holding tank for more water, and set up a small recycling system so that your grey water from your sinks and your head go into the tank, if you set it up with composting in mind. depending on your boat size you can just direct the sink's flow to the extra holding tank, and use that water to water your plants. You can do all sorts of things, but I'd really need to know what size your boat is and stuff like that, so send me Email and we can talk about it. I got bitten by the boat bug early in life, and though I only know a bit about sailing, I love boats, and used to do designs for them before I was into Landscape Architecture. Love the sea and all that is in it. In fact I love pretty much everything, and people too. Even though people can be mean and cruel I still love them. I only know what is not going to happen in the future. I know that the future is not for us to know, we can only guess at it, we can't decide right now that in 14 years Joey FernGully the 3rd will walk into the bar and grill on second ave in Jellyville, which used to be Benton Arkansas, (they renamed it after the tornado leveled the whole town 4 years before) they called it Jellyville, because of the new Jellifish Packing plant that was set up to feed the people of America, the only species of edible fish(jelli) in the oceans. And they got so good at making Jellifish taste better and in so many different ways they named the new town Jellyville in honor of the new way of doing things. See I just created a plausible future, but we can't know it, and I could create it if I really had the time and money to do so. Just level the town, pay off everyone and rename the town that I would build Jellyville and then do whatever I said I'd do in the story. But knowing the future is not something I worry about much. I deal with things as they come my way, I worry about as little as I can. I do a lot of Praying, but I worry about as little as I can. Worry causes stress, stress causes ill health, and ill health causes suffering. Why suffer if you don't have too. I have this romantic notion of seeding the coast with edible, self-seeding foodstuffs such as amaranthus cruentus,nut and fruit trees. etc. Sort of 10,000 mile commons permaculture thing. I admire Masanobu Fukuoka "The Single Straw Revolution"
Of cause the sea can be persuaded to contribute too. It is a $2 billion industry. On Amaranth, there are as many as 600,000 seeds per pound. So what you do is buy some bulk organic amaranth seed for eating, and see if you can sprout it. If you can, you can plant it and save a buck or three. Community gardens create both food and social interconnectedness that is needed to create diversity in gardening. I ran a urban community garden some years ago and found that most people could come to the garden to share both in what works and what doesn't. We all shared in the duties of teaching each other about gardening and sharing the abundance of food grown. Since many of us did not have enough space to grow much in the homes where we lived this gave us a neighborhood garden that supplied many of the items that we loved to eat. Most of suburbia lives in a restrictive environment that does not lend to people knowing one another. A community garden green space gives that sense of fellowship & stewardship that is needed in this vast world of consumption. By the way I live in an area that is devastated by the current oil disaster so this is more important now than ever. Unfortunately, many "sustainability" types are confused. On the one hand, they denounce auto-dependent Suburbia, and then in the next breath they are talking about "edible landscaping." Obviously, they are talking about planting trees, vegetables etc. in a suburban yard. Once you do that, you need autos to get around because everything is spread out. That's what happens when you give each person 1/4 acre to live on, plus the accompanying roadways, parking lots etc. Actually, the traditional format has always been -- from Babylonian times and before -- a pattern of cities and farms. People living in carfree cities do not have yards, and nowhere to have a garden. Farms are large, full-time farming operations. Family farms, yes, but not hobby gardens. If you already live in Suburbia, and have a car and so forth, then go ahead and plant some fruit trees and grow vegetables. However, if you want to create a pattern for a successful civilization, this Suburbia-with-fruit-trees pattern is a dead end. It's like electric cars. A minor tweak on a failed experiment. We can't create a pattern for successful civilization. We've run out the clock and due to the economic situation and looming peak oil. We lack both the capital and the energy to transform the world according to new urbanist ideals. And there is no consensus on the part of the public to even attempt this. The public is busy chanting "drill, baby, drill" and denying global warming! So where does that leave things? It leaves us to "muddle through" as John Michael Greer says. That means individual land ownership will be key. "We can't create a pattern for successful civilization. We've run out the clock and due to the economic situation and looming peak oil. We lack both the capital and the energy to transform the world according to new urbanist ideals. And there is no consensus on the part of the public to even attempt this. The public is busy chanting "drill, baby, drill" and denying global warming!" You gotta love how fatalist this is. China is going to build 70,000 miles of new train track in the next ten years, on top of their existing, excellent rail system, and the Americans are instead whining about "we lack the capital and energy" blah blah blah because some goof who calls himself an "archdruid" says it is so. The U.S. consumes -- what is it? -- 25% of ALL the energy in the WORLD and then they complain that "we don't have enough energy"? Look: have your collapse. You want it so have it. Then what? a) Stick with Suburbia. Plant some fruit trees in your Suburban backyard if it makes you feel better about your ecocidal Suburban lifestyle. Why don't you read your own site? Half of your site talks about gold and dollar collapse, plus you have a sprinkling of Alex Jones tinfoil about chemtrails and flouridated water. So what credibility do you have? I don't know where you come across with this JD Peakoil debunked optimism since you don't seem to know whether you want to preach that the end is nigh or don't worry be happy. So yeah, I'd much rather pay attention to Greer than you because while I don't subscribe to Greer's druidism, the guy makes a much more compelling argument--by looking at the entire tableau of collapse. I gave some fellow and his wife a tour of the the yard - they'd met when she was in the peace corp and he'd returned with her from Turkministan. He said my yard reminded his of home in Turkministan with its fruit trees and scattered vegetables. These people aren't growing fescue in their yards. And in many regions, the outlying areas are more arid pasture than fields. I suspect quite a few of the houses in those villages have - or had - kitchen gardens in back. Probably not very many fruit trees - not enough room. Those mostly were in orchards surrounding the villages. There would also be forests not far away, and those would have a lot of nut trees and berry bushes in them, in which villagers would forage. Regarding the comment: "Suburbia-with-fruit-trees pattern is a dead end"
To the contrary, suburbia-with-fruit-trees pattern is a hopeful beginning! In a post-automobile landscape, suburban towns may contract around a core (or cores) as the inhabitants discover and reclaim useful spaces and abandon others. This process could begin today, as the effects of inflation, offshoring, massive unemployment, banksterism and debt force suburbanites to seek alternate arrangements. Local zoning laws have been, and will continue to become, the greatest impediment to transforming suburbia into a walkable, human scaled, lower energy living arrangement. The wonderful town-farm pictures above are totally and entirely illegal in the US because they do not conform to the specifications set by the military (how are tanks supposed to navigate those narrow streets?) and corporate planners (the potential for lawn mover sales is abysmal in these little towns). Suburbia was designed for *consumption* and *consumption ONLY*. Productive activity at any level, whether that be planting a potato or selling homemade applesauce out of a garage, is simply prohibited based on a contrived list of poor excuses: health and safety, vanity, congestion, noise, trash, and crime. As for your points about destinations and the means of travel: by virtue of the walkable community, single family detached homes can transform into small grocery stores, barber shops, butchers, hardware and used good stores, goldsmith shops (necessary for local currency), small scale schools and vocational training, music stores - in short, everything that was destroyed when cheap oil brought the Walmart to town. These activities can and should exist today, except for the artificial impediments enforced by HOAs and land use boards, violations of which ultimately resort to armed intervention, fines and prison. Expressed rights required to transform suburbia will most likely not be gifted by decree of a wise and enlightened leadership, nor won in the costly, wasteful and arbitrary venue of the judicial system. Market forces are already signaling the true value of the existing suburban arrangement, which is exactly scrap value. Implicit rights to grow, trade, and shopkeep will increase as suburbia decays and homes abandoned, and the tax base required to support the bureaucratic monkeys evaporates. These goals are certainly possible, but for reasons expressed so well by Jim Kunstler, threaten the current adult generation of home-value obsessed, media entranced, automobile fetished suburbanites. But let us see what the next generation of young people can do, assuming they somehow free themselves from the tyranny of "national debt to the twelfth-power" and War Without End bequeathed by their parents. Hope for post-Peak Oil suburbia remains high if the American spirit of entrepreneurship and hardwork, free markets, and Constitutional Rights prevail. Let's get it done, one tomato and one chicken at a time. "To the contrary, suburbia-with-fruit-trees pattern is a hopeful beginning!" Unfortunately, Suburbia-with-fruit-trees is not a "hopeful beginning," it is merely Suburbia with fruit trees. If Suburbia is the problem, why do you think that Suburbia is the solution? It's just like the electric car people. "Cars are a problem, and therefore the solution is ... electric cars!" "If Suburbia is the problem, why do you think that Suburbia is the solution?" Suburbia isn't the problem. Limits to growth is the problem. You aren't seeing the bigger picture. I hear, and mostly agree with, your opinion about suburbia there brother, but I don't think you are listening to what I'm proposing. I neither stated nor implied that "suburbia" is solution. To be clear, suburbia is that car-obsessed, consumer-centric, non-productive, self-oriented living arrangement made entirely possible by finite cheap oil and finite cheap credit (the collateral of which is cheap oil). One way or another, suburbia-as-we-know-it is going away. Pfft! Gone. I respect Will Stewart's vision and plan: a gradual, essential, natural and peaceful first step in the transformation and refactoring of suburbia into something intrinsically valuable, worth caring about and defending. What will we call that new place? I don't know, what does that matter? The important thing to remember, we have to do the *simple* things first, before we try the hard ones. Simple things like planting an edible tree or bush or vegetable in those places where sunlight contacts the good soil. We can then work on more difficult problems, such as sharing resources in a world where growth is constrained by finite resources. Much later we can figure out how to melt down the automobiles and turn roadbeds into grazing pasture. I understand exactly what you are proposing. It's the same as what everyone else is proposing. It is the "little teeny farm" version of suburbia. Let me put it this way: in a properly designed city, there is no "landscaping," edible or otherwise. There are parks, gardens, backyards, and courtyards, but no "landscaping." There is no wasted space. Alsatian village. Where's the landscaping? Obernai, a small village in Alsace. Where's the landscaping? Tokyo. Not much landscaping here either. Note this is a totally pedestrian environment with no cars. Nobody designed suburbia on purpose. It came about because people wanted "landscaping," and other parts of the rural lifestyle, which is totally contrary to proper city design. Once you have "landscaping," -- the suburban yard -- then things are so spread out that you need cars to get around. Then you have the parking lots, enormous roadways, and more "green space" (also known as "landscaping") to try to make it all a lot less miserable. Look at the last sentence: making roadways into grazing pasture? What city in the world has grazing pasture in the middle of the city? You are describing a rural vision, not an urban vision. There's nothing wrong with a rural vision for rural places. But if you try to make an urban place with a rural vision, you get Suburbia. I'm not saying that you shouldn't live on a farm. But if you want to do that, you should pick up and move to fifty acres in the country, and not try to mix up "walkable cities" with "grazing pasture", which is totally incompatible. Once you see the nature of this mania, it is very obvious. A lot of such places in the pictures do have gardens, berry patches and espaliered fruit trees, also byres, cowsheds, chickens and manure piles. I often had to get out of the way (in my jeep, in the 80's, in industrialized West Germany) of the village cows coming home in the evening. I have no idea what the economic arrangement was, but one guy was in charge of bringing the cows back from where ever they been grazing and dropping each off at the proper residence. The tight villages surrounded by fields in parts of Europe seem to be a shadow of medieval town planning and social arrangements. Other patterns exist. Vietnam has a rural landscape only slightly less dense than suburbia. Indonesia has a cultivated landscape so full of forest gardens that some visitors don't even realize that it is all tended private property; they just think villagers live in the forest. A medieval villager with a quarter acre was a cottager. He had to have a day job, either a trade or laboring, as it wasn't enough land for subsistence. But there were a lot of cottagers, working partially in the cash economy and partially for their own subsistence. On that quarter acre, the cottager had enough going to keep another adult (wife, parent, sibling, grown child) busy in the domestic economy: garden, fruit trees, chickens, possibly goats, bees, a cow or a couple of pigs, beer to brew, cider to make, herbs, domestic products such as brooms, socks, candles, sewing, laundry to take in, other people's children to watch, etc. As another commenter pointed out, it's not the density of suburbia, it's the segregation of economic and productive activity away from housing. In John Seymour's Self Sufficient Gardener, he writes about manual laborers in the past in Britain's villages growing potatoes and runner beans in the summer, and then following those with whatever Brassicas (cabbage family) they could grow through the winter. For many people, that is all they would ever grow. Those happen to all be very high yielding, easy to grow crops. They would have helped stretch the family's food budget a very great deal. I actually agree with EconGuy about sustainable human settlement patterns. The European (and to some extent also Asian, African, etc) model of land planning focuses residency in villages/towns/cities, leaving the rest of the land available for agriculture and forests. I couldn't think of a better approach (and have stated as much in previous articles), though much of the US does not employ this model. So what do we do with the suburbs that we are stuck with? Reducing food bills through edible lanscaping and gardening addresses food miles, reduced (or absent) incomes, and the need for healthy outdoor activity. What else should we be growing - fescue and ornamental trees? Scale is important. Let us consider Dunbar's number and bear in mind the social ills that come with excessive sizes of settlements. Also, the outcomes we see in classrooms when a school garden is part of the curriculum, particularly when students are involved with plants from seed to plate. It's not just about efficiency. I am with Will and Econ Guy here, the traditional village IS a better model. BUt suburbia is what we have, so we have to try to use it as best we can - which means not the way it is used today. Backyard gardens can produce something, as Majorian points out downthread about WW2 victory gardens. I consider them the food equivalent of solar panels on your roof, you can produce something, and it is at point of consumption, so there is no transport, but it won;t provide all your food, not even the majority of it. And it certainly doesn't solve the real problem of suburbia that EconGuy pointed out - it makes everything much more spread out, and thus requires more transport (=energy) to live. Will started out by saying that each calorie of food requires 9 calories of energy to produce it. If we assume the average calorie intake is 2000/person/day, and we can get 20% of it from the backyard, that is 400 calories, and has saved 3600 calories of fossil fuels. There are 4.2 kJ per calorie, so this is 15.1MJ per day. There are 122MJ in a gallon of gasoline, so we have saved 0.12gallons of gasoline per person, per day. US per capita oil consumption (for all uses) is 2.6 gal/person/day, so we can effect a reduction of 0.12/2.6 = 4.6%. So, we are saving something, and eating healthier, but clearly this is not the solution to peak oil. If we reduced the suburban road width by half, and used this land for more production, we could do a bit better, but the real answer is to start densifying the suburbs, and then turn whole tracts into other uses, which could be farmland - as may happen in Detroit. A final thought on the backyard veggie garden (not orchard). If the real objective is to maximise food production, then the best solution is to turn the backyard into a greenhouse. This will minimise water requirements, lengthen the growing season, protect against frosts, etc. If your house is heated by natural gas, or wood, you could put part of the flue gas into the greenhouse to provide warmth and CO2 (make sure you install two really good CO2 and CO detectors if you do this, and check them regularly). Food production per square foot can easily double in a greenhouse, and elevated CO2 levels can increase this by 50% again (http://www.omafra.gov.on.ca/english/crops/facts/00-077.htm), leading to a trebling of overall production. It is not as picturesque as an idyllic garden, but it IS much more efficient, that is why so many commercial operations do it. I love green houses, so don't get me wrong on my next comment. What happens in the future, if the world degrades, and you have a broken pump, fan motor, or your glass/plastic breaks or tears? Replacement parts of a complex system will be a problem and even though you might be secure for a while, the long run you could bite the bullet, and when you least expect it. I'd love to have a greenhouse, we built a small one long ago, but it was to small. All good points, both of you. In terms of greenhouses, Eliot Coleman has a good treatment of them in Four Season Harvest, and indeed one can extract quite a bit of food from their yard at least 3 out of the four seasons in most places. However, as Charles points out, the sheet plastic approach is highly reliant on replacement plastic sheets every few years or so. For those who are identifying ways to mitigate risks of a serious economic downturn where materials such as these may be difficult to obtain at times, other approaches warrant examination, such as longer lasting materials, plants that overwinter well, etc. Glass can last for centuries - IF a rock doesn't go through it! Big "if". Clearly glass is a better, and more expensive, solution. As for plastic, if you must use it, then I would suggest buy a "lifetime" supply - rolls of clear plastic are VERY cheap (at present), it would be easy to buy 10x what you need, and you will be able to replace for many years. I would avoid having pumps/fans etc. Use natural convection wherever possible. But since we are talking about houses in suburbia here, it is reasonable to assume, for now, that manufactured items are and will continue to be available. Even a small greenhouse, for early starting of seedlings, bringing potted plants out of frost, etc, can make a big difference. In terms of improving reliability of food production, at this scale, I think a greenhouse is the best bet. An interesting note from that ontario website about CO2 levels. If you don;t ventilate a greenhouse, the CO2 level drops by 1/3 during the day and will STUNT plant growth! So either add some CO2 from something burning, or ventilate during the day. Shade is important and desirable, it makes summers much more pleasant and minimizes the need for air conditioning. Unfortunately, there is very much of a tradeoff. Unless your shade trees happen to be nut trees, or maybe sugar maples - and that will most likely be thanks to someone who lived there long before you did - you won't be getting any food from the shade trees. Furthermore, the shade will be a MAJOR impediment to your trying to produce food of any kind. My approach (I won't call it a "solution", because it doesn't solve the problem, just copes with it) was to cut down a few trees to create a sunny vegetable garden area, and to leave the shade trees closest to the house, especially on the southwest and west (front side). We also have a deck on the south side that is pretty sunny most of the day, so I grow lots of my sun-intensive vegetables - tomatoes, cukes, peppers, summer squash, and a few other container-friendly veggies like lettuce and chard - in containers there. If times become really hard, I have plans to cut down more trees so that I can expand the garden to include most of our yard - but I'm not to the point of really needing to do that just yet. I've been plugging in fruit trees and shrubs in every spot that I can. There are spots here and there around my property that get more sun than others, and fruit trees go into all those spots. Dwarf and semi-dwarf apples and cherries have done best for me in these sorts of situations, although the (sour) cherries are pretty small. Apples are the thing to plant if you actually want a substantial harvest. I'm experimenting with some other fruit trees, but it is too early to be able to say much about them. I don't do much spraying at all, just annual prunings, and the apples are usually not very good looking. They work fine for things like apple sauce, pies, and apple crisp, though, or for canning. There are also some specific microclimates that I take advantage of. For example, I have a peach tree right up against the south side of my house, with some shelter from an adjacent hemlock. It doesn't get 100% sun, but it gets enough, and this arrangement is probably the only way to assure that I get peaches most years - otherwise, frost would kill off the blossoms every year. This one peach tree has actually been our most productive fruit tree so far. I tried planting an apricot when we first moved here, let it grow for years and years, and never got one fruit from it. It just bloomed too early, the frost got it every year. I finally cut it down, it was taking valuable space that I could be using for something more productive. The lesson here is that each place is different, things that work for one person in one place won't work for another person someplace else. Large nut/shade trees for many people might include black walnuts, if you are fortunate. These do have a big downside: forget about growing anything underneath them, the roots emit a substance that is toxic to many other plants. I have a black walnut on a corner of my property, and what I do is that I place my beehives there. That's a good place for them, and makes that ground productive for food in a different sort of way. As for the black walnuts themselves, they are pretty messy and difficult to work with, but there are those who do. Good wintertime project, I suppose. Black walnuts are one of the few nuts where you have a fair chance of getting them before the squirrels do. Nuts sound good in theory but for most of them you end up just feeding an exploding squirrel population. If you like Brunswick Stew, that might have its compensating aspects. . . I've not had good luck with grapes. I've got a few vines, but grapes seem to be one of the most pest and disease prone plants that I have. The Japanese Beetles just about strip the leaves bare, and then there are the various mildews. Blueberries do better, but are not really all that productive, and you've got to net them or the birds will take off with your crop. I have seen in print suggestions that rhubarb will grow in partial shade. I have rhubarb, and it is in partial shade, and it does grow - just. Not to the point where I can get any sort of harvest, though. I'm thinking now of making another planting in a more sunny location, or maybe even trying to transplant the ones I have now, even though they are several years old. Sunchokes, on the other hand, will do OK in partial shade. They love full sun, of course, but are so prolific that they'll still grow even in partial shade. I've got mine in a dedicated raised bed in the least sunny corner of my garden. The raised bed is a must, you'll really regret it if you don't grow them in one, they'll spread everywhere. I've found sunchokes to be highly productive. The only thing is, if you want to harvest them through the winter you need to heavily mulch the soil so that it doesn't freeze hard. I've found that they don't keep long at all once harvested, so you need to keep them in the ground until you need them. IMHO, sunchokes are one of the very best permaculture crops you could have. They are also a great choice for "guerilla gardeners" - most people assume that they are just a weedy flower, which they are, but not just. I've also got a bed of asparagus. I planted it three years ago, and just harvested a few stalks this year for the first time. Asparagus is another pretty good permaculture crop. It does need a fair amount of sunlight - not absolutely full sun, a little bit of partial shade is OK, but it does need full sun for at least part of the day. The key to successful asparagus, in addition to enough sun, is manure, manure, manure. There should be lots of it in the bed when you plant, and you need to make annual additions. I pretty much mulch with it. Few plants need more or respond better to manure than does asparagus. I have not mentioned water, obviously all these things need that too. We get pretty abundant rainfall here. I'm actually on the western slope of the Eastern Continental Divide, so the mountains wring a lot of moisture out of the clouds as they pass over. Thus, I don't need to supplement natural rainfall very much for most things, except in drought years. Obviously, many other people might be less well situated, and will need to think a lot more about how to provide supplemental water to their plants. I have a hard time seeing the value of shade trees if they get tall enough to obscure potential PV or hot water solar panels. I took one of the two red maple trees down in my front yard and it enabled me to put two long raised beds in which get excellent afternoon sun. But the other maple tree is over the roofline and may have to come out eventually. For now it's a good source of compostable materials when the leaves drop. We had an eco architect come speak to our town a while ago and he pulled up a powerpoint slide with the typical south-facing rooflines all with solar panels on them. The problem is in New England, aside from the rooflines facing some weird complex angles with dormers, most of the trees in the towns here are 30-50 feet tall and shade rooflines and potential garden areas. The only benefit to the existing treecover is the oaks (for the acorns). So I really suggest that people take down trees on the sunny side of their property and put a combination of raised beds, shrubs, and small trees that won't grow over 20' tall. Where I took down the maple, I replaced it with a chinese hawthorn which won't get nearly as tall, still provides ornamental value in the front yard, in addition to the apple-like fruits. I have a hard time seeing the value of shade trees if they get tall enough to obscure potential PV or hot water solar panels. Agree. That's why a plan specific to the region AND yard is important. There is no one landscaping plan, not even by region. the roots emit a substance that is toxic to many other plants." The substance is juglone, and some plants are resistant (lima beans, snap beans, beets, corn, onions, parsnips, cherry, raspberry) while others are highly sensitive (tomato). I know, but I rotate by crops, and it is complicated enough without having to factor in crops that are or are not OK near the black walnut. My beehives had to go somewhere, that ended up being a good place for them, and eliminated a problem. Few plants need more or respond better to manure than does asparagus. Tobacco. It is by far the heaviest-feeding plant I have ever grown. But a lovely source of nicotine for bug spray. Nicotine is extremely toxic and has little place in organic or conventional production because it's so poisonous. In fact, nicotine sulfates used to be one of the most toxic pesticides that we used, ranking very close to the synthetic pesticide aldicarb. Nicotine is a nerve toxin that acts very quickly and is very dangerous to a wide variety of animals. We have a spare refridgerator, we harvest some Jerusalem Artichokes and store them in the vegie keeper, almost 4 weeks or longer. But they know what time it is, and start sprouting about the time the ones in the ground are. I have a small 10 foot by 10 foot bed of them, it is open ground, no sides and they have been in there for 25 years plus. About 40 pounds from the bed if we harvest them at all. Though my dad has planted them on the back fence as well. but they are coming up through some old railroad ties. Right now mine are about 6 feet tall, and I have tomatoes about that tall. Soon I'll have to pinch them off and not allow them to get taller. I am going to buy a few bags of miracle grow potting soil, and lay down a layer of cardboard then put a few holes in one side of the bag, and lay it that side down, then cut 3 holes about the size of my fist in the bag, Water it. And plant something in there and let it grow that way. Likely some more zuchini as I only have 3 plants of that, and I love it. I have blue lake that are doing fine, just a few feet away. First, maybe in the mid Atlantic area you are not so concerned with supplemental watering issues with gardening, but in TX we rarely can make it past mid to late spring without supplemental water for our gardens. Rainwater harvesting (RWH) is rapidly growing in many areas and I have gotten the bug. We started out with a couple of 55 gallon barrels attached to a small greenhouse. Not enough to last long here. I added a 1600 gallon (about $599 when I got it) black tank to one side of my metal barn. Fed by around 1000sf of roof it only takes a little more than 2.5" of rainfall to fill. Now, I already wish I had purchased the 2500 gallon size. RWH is a gratifying and eye opening endeavor. It definitely makes you think about every drop of water that you are using as you have a finite amount. And, last words on RWH, from my experience, and from other I know in my area that have gotten into RWH, you can never get a big enough tank...think big for your first one. Second comment is regarding soil. I live on land that is rocky and heavy limey clay so I use raised beds for crop veggies and have recently converted one bed to the "square foot garden" mix. Anyone wanting to just have a small garden should definitely look into SFG. The results speak for themselves..healthier plants, larger harvest, less water and no fertilizers necessary. Google "square foot gardening" if interested. As far as edible landscapes, we have tucked pepper plants into holes in our native and adapted landscape for years. My feeling nowadays is -if I have to tend it- I want to be able to eat it. Swiss chard is another good landscape plant. It is attractive and very nutritious. You can pick up used 275 gallon "IBC Totes" for about $80, and two people can easily get one onto the roof racks of a small car. Mine is at the low point of my system, and I can run a hose from the outlet of my most productive rain barrel down to the tote to catch water that would otherwise be lost. Not all tanks have to be connected to a downspout or even close to one. Indeed, watering concerns are important (it's difficult to discuss every aspect in an introductory article). I also collect rainwater and employ drip irrigation in the garden AND the landscape (though I've blurred the lines between the two via permaculture techniques). There are many techniques, and once one does a few trees or garden rows, it becomes simple to get into the rhythm of doing many more. How one will water the permanent and annual plants is an important step in the planning process. Is there a reason my food forest post was deleted? You know as a gardener I have always wondered what it could have been like to have lived in the Garden of Eden. Here you are, no clmbing spiderworm eating you prized peaches(fictional bug), all of them are sweet and tasty when you want some. They fall off when overripe and rot in the ground and get eatn by bugs and by other animals, but notthing is wasted or nasty comes of it. As the peaches go out of season, the other fruit comes it(fictional name here)The pink and yellow striped mystery fruit. Sadly it went extinct in it's natural range when some little known tribe took more of them in sacrafice to the island god than could sustain the corps, and they chopped down and burned all the wood. But it was a nice fruit that came ripe after all the peaches had dropped to the ground. And other fruits and food that we don't have any more because of one reason or another. But you never had to worry about invasive plants, or bugs, or critters. No weeding or anything like that. Why oh why did Eve have to listen and for that matter why oh why did Adam listen to the lady of the place? Sorry I have been dealing with one of my x-wives all morning, okay the only ex-wife that is still talking to me or alive(one is still alive just not talking)(The other I'd like to talk to but is not alive) Gades I could write stand up humor with this stuff. I have read about fictional gardens where everything was taken care of by machines, robots what not. Where all the world was fed on the space of the USA lower 48, with 20 Billion people living on earth. Or where star wars has 20 trillion people/creatures living in the galaxy plus some. The truth of the matter is, I have to deal with wasps, which I will tolerate, I get a bit jumpy when they are to close, childhood fears based on getting swarmed by bees and by wasps, both times I ended up in the hospital. I have to live with leaf miners, and a beatle that looks like Ringo, er a cucumber eater. And I have to use city water now, even though my plans would have had enough water for the year if I had last years rain from one month. On and on the troubles that a gardener faces, makes one wonder if we could even handle a trouble free garden. Laughs, what would you call a gardener that did not have to work to maintain his garden? A fishermen. BioWebScape designs for a better fed and housed future. and fish, lots of fish. Which reminds me, we shouldn't discount fish in our garden set ups, even though this is not a thread about sustainability. a 50' x 50' plot per person per year. Average suburban lot is ~ 60' x 120'. Ah yes, Kunstler. The man who wants to shove us all back into tenements helplessly at the mercy of vicious money grubbing Slumlords. Oh yeah, that's the future we should want for our descendents- the very thing our ancestors struggled for generations to escape! They didn't struggle so hard to escape it because it was good...duh. Kunstler certainly does argue against suburban sprawl. A colossal waste of finite resources he argues. But I don't get the sense from his books that he advocates a return to big-city tenement settlements. Quite the opposite. The combination of the peaking of oil production (PO), net energy decline (e.g., EROEI) and the export-land model effect (ELM) might make some of our historic settlement and behavior patterns difficult, at best, to sustain. Under the worst case scenarios, some soon may be impossible. Kunstler’s writing seems to include, in the same category, both suburban sprawl and the worst of big city living (including cities with buildings over a certain height). I don’t think that he sees either of these as a major part of our future, at least not at their current scale. My take on his work is that he advocated for villages and small-towns. That is, a globe-of-villages not a global village. Something more like the images posted above by "econguy"? These small-town and village/country landscapes were what my own ancestors sought; they've told me that they sure weren't dreaming about modern suburban sprawl when they, their parents and grandparents struggled to get out of east coast cities and find their "place in the country." Some of them, even now, at a _very_ advanced age, are again moving into older small towns. But I'd be interested to hear what other people's ancestors were/are seeking. Was it our modern suburban landscape? The PO+EROEI+ELM driven transition away from some of our familiar settlement and behavior patterns might take some time, and will use dwindling fossil resources. We might want to start sooner, while some of those resources are still available (use them as an investment? ), rather than wait for a series of crises to motivate us. I can’t imagine we’ll all agree on just what needs to be done, or where, or how. But that’s okay since we might need lots of experiments. And right soon now. Kenneth Boulding had a neat quote: “If it exists, it’s possible.” Mining the past for what once worked might help, as might creating new examples. I wouldn't mind the high density of apartment buildings if they had better insulation (both thermal and noise) throughout, and balconies or patios so those of us who want gardens can have them. But the low rise (3-4 store) buildigns are far more sustainable, in the long term. Look at the complexity of building,operating and maintaining a high rise. You need huge cranes, lots of reinforced concrete, detailed engineering, air handling systems, water pressure booster pumps, elevators, etc etc. 3-4 storey buildings can easily be built with stone, brick or wood, and do not need complex systems to operate. They are also small enough that you get to know all your neighbours. A rooftop garden can provide enough room for all to relax and to grow things. And, these have been built for centuries and just need skilled tradesmen and manpower, not huge and expensive machinery and specialist contractors. And, as econ guys pictures show, they result in nicer villages! The best modern equivalents, in N. America, are the ski resort towns. They are almost all built with low rise buildings (though using expensive equipment etc), and have a much better "feel" than cities, and are designed to be livable by walking. I think we will see some suburbs start to develop their own village cores like this. The recent explosion near the American coast, in the gulf of Mexico, has raised several questions, not only about the environmental hazards, but also about the very idea of exploration in the deep sea. When you try to make a hole in the bed, you are creating an artificial volcano. The strata between the oil well and the steam zone may be either thick or thin. So long as it is sufficient to prevent a link up between hot steam and the oil well, we are safe. As there are any number of steam channels, there is every likelihood of the steam forcing into the oil well, causing an explosion. This is probably what happened. On the land we can at least try something or at least burn away the oil. Nothing is possible under a depth of 10.6 KM. So banning oil exploration below the sea bed is a must. The presence of oil indicates that forests were there, billions of years ago. How can trees grow in the deep sea? Of course, any form of life like fish, sea animals etc. (both animal and vegetables) can get converted into oil, but only under high pressure. So the question remains: how did it get under the sea bed? Hindu mythology is rich in content and variety. For everything, there is a parallel. It is said that suras and asuras decided to churn the sea, to obtain nectar (amrit, eating which one gets eternal life), like house wives churning milk for butter. Well, God is continuously stirring the sea with the help of ocean currents, hot and cold, sweeping the whole length and breadth of the oceans. Each current is thousands of times bigger than the continental rivers, both in volume and sweep. This way, the saltiness and the temperature of water in the seas, the world over, is maintained fairly constant. Then the volcanoes and hot springs disturb the sea, when billions of tons of water are thrown into it. The ocean bottom is thus whipped up, throwing sand up from the bottom of the water. How else, do sands come in the sea shores? If water is not pushed down continuously from the bottom of the ocean, to the interior of the earth, as described in my book GLOBAL WARMING IS A MYTH,mean sea level will rise every day. During volcanic eruptions (there are thousands of volcanoes in the sea), magma is thrown up from the interior of the earth. In short, unlike the continents, the three dimensional contour of the seas get transformed into different shapes, almost every day! This may be the explanation for the debris of vegetable and animal life forms getting underground, where it is subjected to the high temperature and pressure required for formation of coal and gas. The oil companies doing exploration and mining of oil, should pay compensation to the nations of the world. All such activities should be banned. Do not play with fire. I'm trying to gather a small library of information, over the next 3-4 years, on a series of subjects related to post-peak oil living. My goal is to have some printed material I can share with friends and family once things begin to become complicated and access to the internet becomes complicated or impossible. This will include anything from books to TOD articles/threads. Could anyone suggest some books on permaculture, organic farming, wildlife/plant life identification and use. You can post the Amazon links or other source. Thanks in advance, and let me just say that TOD, in my opinion is one of the most important websites I've come across in a long time. There is just a handful of books I would recommend. Gardeners should garden, not read. The Victory Garden is a classic and should be on everyone's shelf. Take what you can use from it, and let the rest rot. Elliot Coleman's Four-Season Harvest was my main source for many years. He has since become rather insane, but this book is still a winner. Take what you can use from it, and let the rest rot. Jeff Gillman's series of books beginning with the titles "The Truth About" are short, sweet, intelligent, and balanced. He actually is a good guide for the saying, "Take what you can use, and let the rest rot." Also, who is the author for The Victory Garden? Out of curiosity, how is organic gardening a scam? Jim Crockett did the original Victory Garden book and 1970s TV series (which was initially mostly about ordinary middle-class people actually growing vegetables in the midst of economically troubled times, rather than about the stylish upscale suburban landscaping that it is today). Jim is no longer with us, RIP. The original TV series was great, I wish they would re-run it. The only problem was that it was all very much non-organic. Jim would literally drench the soil around root vegetables with diazinon, an extremely powerful pesticide. I wouldn't go near the stuff. I don't know what he means about Organic being a scam. The organic movement was originally all about preserving soil health and fertility. Rodale built upon the earlier works of King (Farmers of Forty Centuries) and Howard (Soil and Health and An Agricultural Testament). The opposition to artificial pesticides and fertilizers was originally based mainly upon concern for the damage these might cause to the complex ecology of micro-organisms in the soil. IMHO, this part of it is largely sound, and modern non-organic agricultural methods have been doing great damage to the soil. Of course, "organic" later evolved into something more of a blanket, and sometimes irrational, condemnation of anything "chemical". Furthermore, jumping through the hoops required to have things labeled "organic" and doing what is actually sound organic cultural practice are becoming two different things; maybe that is what he is referring to as a scam. The first two of your links only address the claim that "organic" foodstuffs are somehow "better" than non-organic foodstuffs, and do not address at all the issue of impact on soil health and sustainability. My comments above are wrt the latter, not the former. (For the record, I don't think that there is any big difference nutritionally between organic and non-organic produce, although pesticide residues are a serious and legitimate concern. My focus is on sustainable stewardhship of the soil.) The third article touches upon this issue only briefly, and actually does not "debunk" organic methods at all. What he really seems to be saying is that he doesn't care, he is only interested in producing as much as possible, right now. His comments seem to provide little evidence of awareness of such things as impending water shortages and the need for soils to hold maximum moisture, thus minimizing the need for irrigation, or the phenomenon of salination that results from having to rely more and more on water-soluable chemical fertilizers plus high levels of irrigation, or soil errosion, or the depletion of phosphate and potash mineral resources, or the fact that nitrogen fertilizers are dependent upon depleting NG resources. All in all, for someone who claims to be looking at this from a "scientific" perspective, it appears that the author has really not bothered very much to actually familarize himself with the relevant facts. My focus is on sustainable stewardhship of the soil. A laudable goal! Which has little if anything to do with "organics" (which, for example, turns up its nose at no-till farmers who use herbicides). Unfortunately, the whole fact of population growth makes "sustainability" null and void. I say, farm whatever way works for you. My mainstays: Coleman's Four Season Harvest; Bartholomew's Square Foot Gardening; Seymour's Self Sufficient Gardener; and Hunt & Bortz's High Yield Gardening (OOP). Rodale's Organic Gardening encyclopedia is pretty important, too. I also have Jeavon's book Grow More Vegetables. . .. Lot's of good information there. Do beware, however, that what he advocates is EXTREMELY labor intensive. Few have been able to achieve anything close to the high yields he claims are possible. IMHO, Square Foot Gardening is a simplification of Jeavons, and reliably achieves pretty good yields with a lot less effort - a better trade off at least as far as I am concerned. If you grow fruit trees or berries you will probably want some more specialized books about those, especially covering pruning. The above volumes just don't cover the specifics of fruit growing in enough depth. I'm still exploring what's out there, don't have a specific recommendation yet. I have parents who live in hardiness zone 4. I'm currently living in the greater NY area. I don't own any land, and my parents are collapse-deniers. Besides, all that grows where they live according to the Arbor Day website are apples and cherries. I expect to die very soon and very harshly. I have a book called "Natures Design" runs off to get it....It is a book published by Rodale press. It is a called a practical guide to natural landscaping. After all my once main study was in Landscape Architecture, only to find out that half of my save weeds and eat from the native landscape/places was going to get hashed out to the point of them trying to kill it. LA is more about making nature succoumb to human hands than anything else I know. And only recently has edible landscaping been hinted at in the landscaping feild. They don't really care for having to in and much about with rotting fruits and things that no one has picked, icky poo. I have some of the books already listed. I always tended toward practical use books, a little bit of growing and a lot of uses for what you grew. Ortho the chemical company put out a bunch of all about herbs, all about vegatables, All season harvest and canning guide, green house designs and other books, I would guess that they are all out of print, but they are still in my book collection. The pickling and canning book is still in the kitchen, we have used it recently in fact. Don't be fooled by all the great pictures. Makes you think your garden will look like that and it won't and it could. But a lot of that is staged to be that way. I have a very pretty tomato patch right now. But if you look close a bug is putting holes in my Amaranth leaves like mad. The bug is not a cuke beetle, but looks like one. I've killed a few of them by hand. I don't use pesticides and herbicides. I hand pick the bad bugs and the weeds. I grow to many things in the wilder parts of my garden that an herbicide would kill and I don't want to do that for the first reason. Another is cost, and the second is I don't know how they will react in the system. I promote as many sustainable things as possible. But I do use Miracle Grow, when I can't find local manure. I have compost, but can't generate enough of it yet. I compost in place a lot of the time. Techinical speaking anything found on earth is found on earth and is useful. But man can make things that are found on earth worse for himself, and they can damage the systems called his environment so easily that he should have been more careful with anything he created. That is not going to happen, and has been co-opted by interests of power and profit to harming his fellow man and life around him. Since I don't the chemical structure of the pesticides, or herbicides, or the eithical stand point of the makers, I'll mistrust them first and trust them later. People get my full trust first, then other degrees of it later. But companies I handle totally different. I am a bit weary today, I had a very long day yesterday and my typing is bad as it is, my dyslxia has gotten so bad, that I can't type even simple words. When I am tired it gets worse. so forgive the mistakes and misspellings. Books that you should buy, should have the word "FREE" on the front cover. Smile. MikeB, I like the use the best and let the rest rot, statement. reminds me of a worm bed, you use the best and let the rest be eate by the worms. I do wonder how they are eating the cardboard under my beds. I had worm piles under some water filled rwh containers. I am going to try a new approach. Put down some cardboard in a spot, then put a rain container over top of it, with water in it. It stays cool and the cardboard might rot in a while via worm action. Goes out to try it. Great read. I would love to try this one. It is great to have this one day.